Know someone or thinking about getting into turning bottle stoppers? The Bottle Stopper Start-Up Kit is a great gift or package to get started! One (1) Mandrel of choice from drop down menu. Five (5) Random Pieces of SpectraPly (These are generally not stock colors. If certain colors such as predominantly red or blue are desired we will try our best). Five (5) Pieces of our Knurled Brass Inserts (Requires 1/2″ Drill bit for installation). You may substitute an additional stopper if you do not want the brass inserts. Two (2) 21/64″ Stub Drills. You may substitute for another size drill we carry or an additional stopper if you do not want the drills. 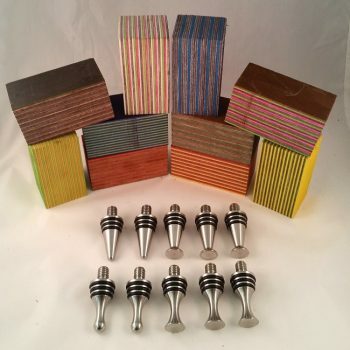 If you are unsure which mandrel you need, refer to this list: Wood Lathes Spindle Sizes. 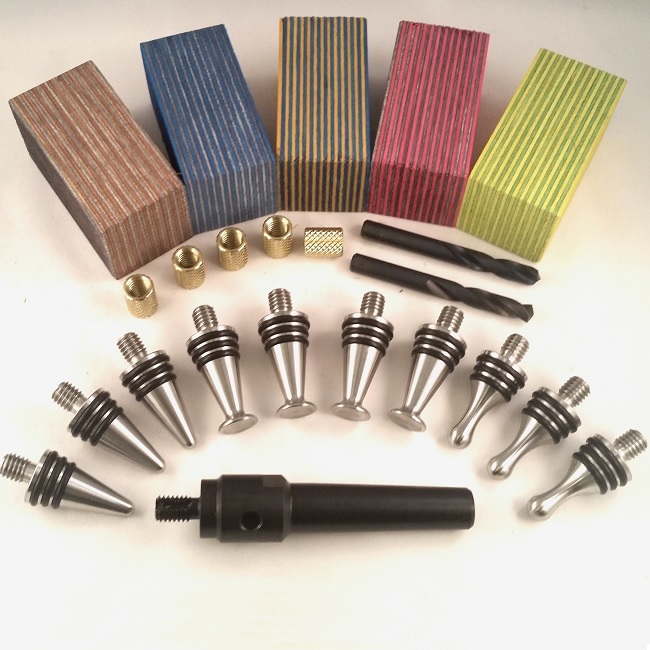 We are flexible, you may substitute additional Stoppers if you do not want the brass inserts or Drills. Please E-mail sales@stainlessbottlestoppers.com before placing your order if you would like to substitute items.